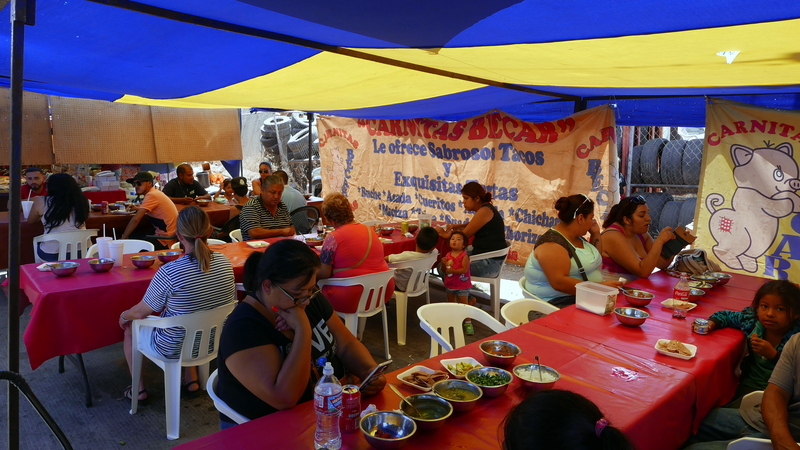 About the only thing you can’t get at North Rosarito Beach’s Sunday Mercado Sobre Ruedas “Los Panchos” is the thing for which they appear to be named: hot dogs. 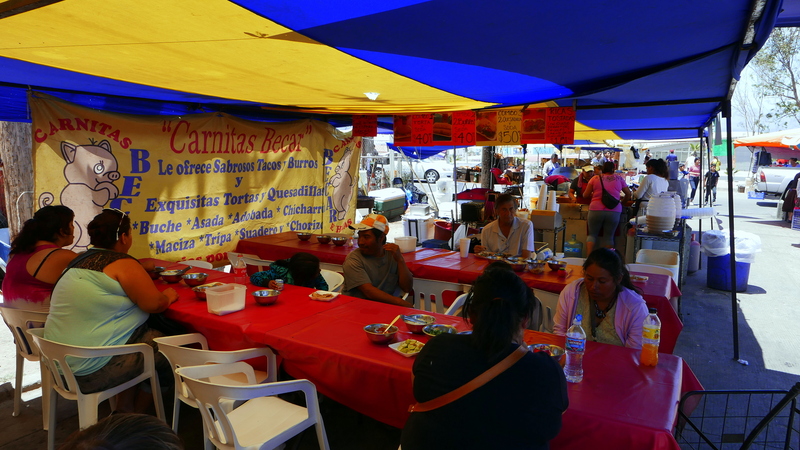 You can get backpacks, jeans, toilet seats, cast-iron pans, MacBook Pro power cords and more at Los Panchos (I’ve purchased all save one of those here), but you can’t get hot dogs. 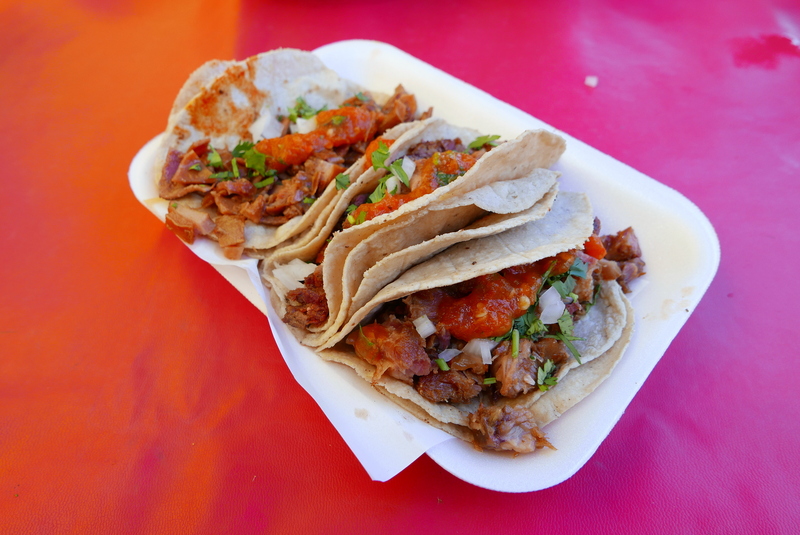 There is, however, no shortage of great food at the market: barbacoa,birria, fish tacos, carne asada, among the offerings. 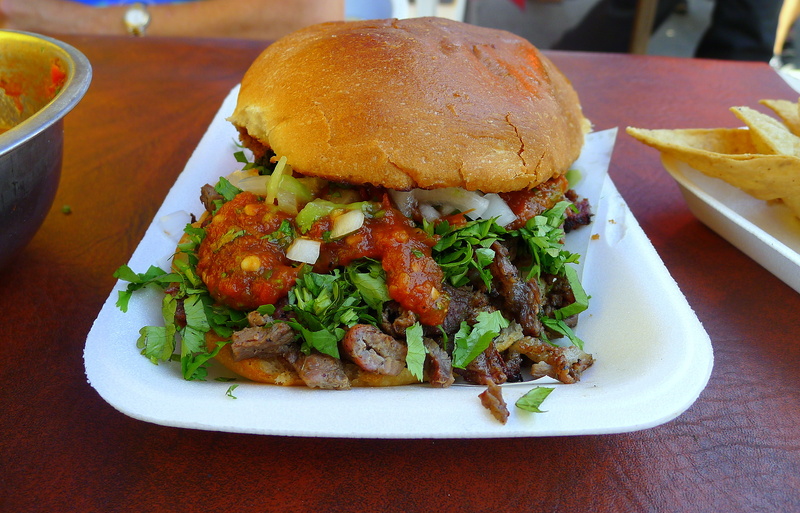 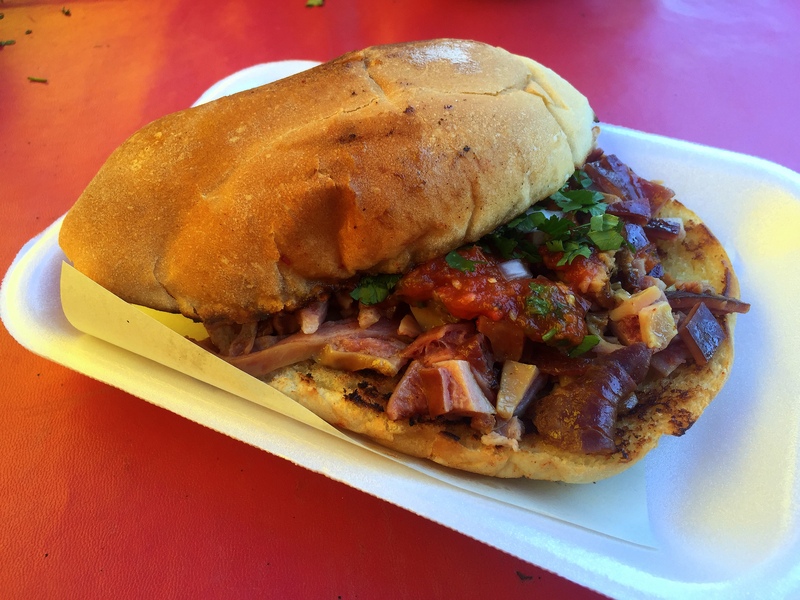 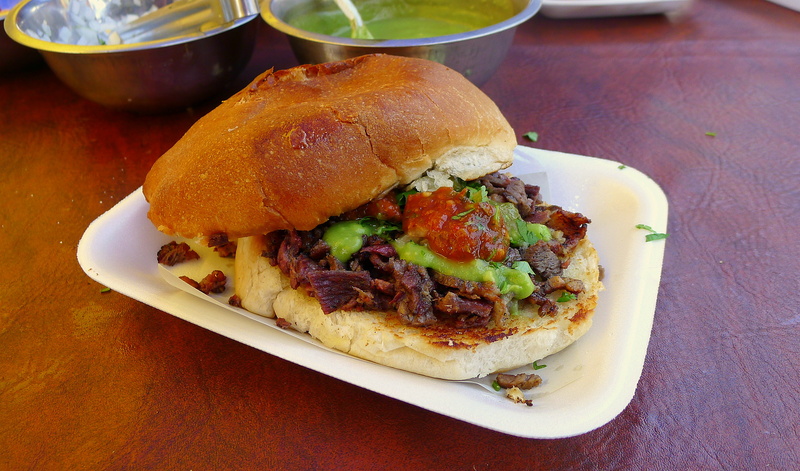 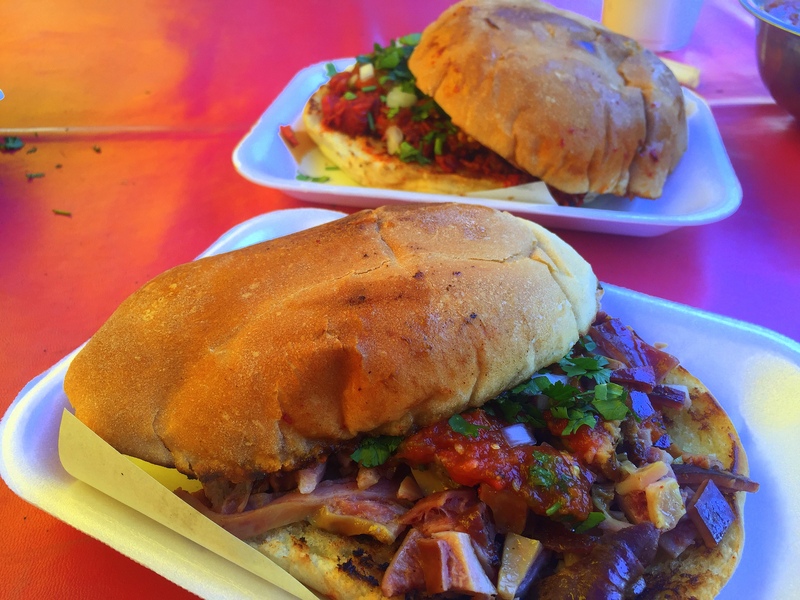 But you won’t find any food better than the menu items at Carnitas Becar at the corner of Diego Esquivel and the frontage road off the Carretera Libre Tijuana-Rosarito every Sunday.